If there’s one thing we love about celebrity couple John Krasinski and Emily Blunt, it’s that they can definitely take a joke. The Hollywood spouses recently appeared on The Graham Norton Show to promote their new movie, A Quiet Place — and to poke a bit of fun at one another, naturally. "It's one of those things that back in the day, us elderly people used to channel surf. Nobody does that anymore," Krasinski added. "It's just one of those movies that whenever you're going through the channels, you just stop and you look." 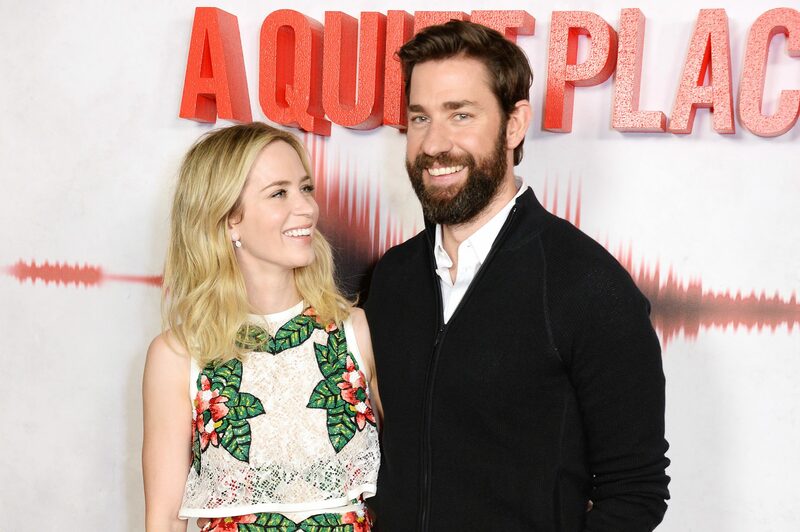 Krasinski also talked about what it was like working with *the* Emily Blunt for the first time in A Quiet Place, which was released in theaters Friday, April 6th. "It sounds really sappy, but it's true: I think it's the greatest collaboration I've ever had in my career," he said. "I'd never seen her work. And when you’re actually in the room when she does what she does, it honestly changes the air in the room. Everyone is just completely and totally stunned by what she does." Aren’t Emily Blunt and John Krasinski adorable together? We hope they never change.